Sailing from Hurghada, this cruise starts in the north then travels to the Safaga area. It gives a perfect combination of reef diving and wreck diving. Starting at Shaab El Erg with its beautiful hard coral garden and the chance to see dolphins. This is followed by Abu Nuhas, the famous “Ships Graveyard” with it’s four wrecks that can be dived, including Giannis D and Carnatic. They all lie at moderate depths on a beautiful reef with an abundance of marine life and hard and soft corals.which has four well-known wrecks offering spectacular dives and plenty of fish life. 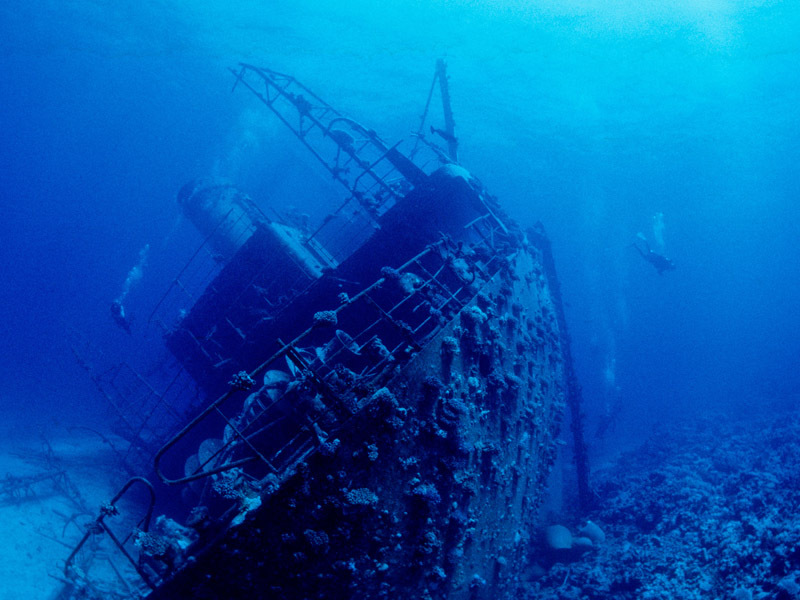 A short ride across the straits of Gubal and you visit the most famous wreck of the Red Sea, the SS Thistlegorm! An awe-inspiring World War II British vessel with a cargo full of armaments (Bedford trucks and BSA motorbikes), which were all destined for the British troops in North Africa. She was sunk by the German Luftwaffe and now lies in 30 metres of water. Depending on divers’ experience, weather and current conditions, we also try to offer a night dive here. You will also get to visit the wreck of Dunraven at Shaab Mahmoud. Close by is Ras Mohamed National Park, offering a morning dive at the ‘Shark Reef’, a sheer wall falling into the blue. Travelling overnight you will arrive to area around Safaga which has some great diving, the best being the offshore reefs of Panorama Reef, Middle Reef and Abu Kafan The diving offers a combination of shallow reef dives and drop-offs, as well as the famous wreck of the Salem Express. There is superb wall diving at Panorama and Abu Kafan, as well as some little secrets like Hal Hal, which can only be dived in suitable weather conditions. Soft and black corals, fan and huge gorgonians, plus frequent sightings of Jacks, Barracudas and Eagle Rays all promise a true adventure.